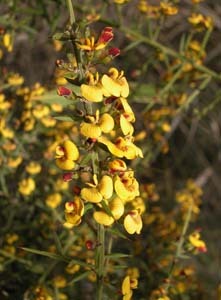 Daviesia ulicifolia (Native Gorse) is spiny native shrub that is common in dry woodlands. The leaves have sharp tips and the branches end in spines. 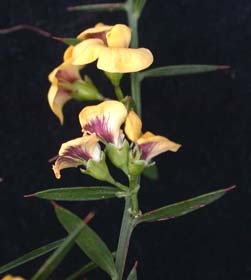 It is very similar to D. sejugata, which has larger, broader leaves.